Engadget got its hands on the entirety of an internal Nokia memo from CEO Stephen Elop earlier today, and now claims that “multiple trusted course” confirm its legitimacy. The disparaging note details former Microsoft exec Elop’s disappointment with the company’s progress compared to Apple’s market dominance, as well as his frustration losing global smartphone shipments to Android. “The first iPhone shipped in 2007, and we still don’t have a product that is close to their experience. Android came on the scene just over two years ago, and this week they took our leadership position in smartphone volumes. Unbelievable,” the memo reads. Elop also writes, “We poured gasoline on our own burning platform. I believe we have lacked accountability and leadership to align and direct the company through these disruptive times. We had a series of misses. We haven’t been delivering innovation fast enough. We’re not collaborating internally. Nokia, our platform is burning.” This all but declares that the company will be switching to a non-native OS – say, Windows or Android. Recent rumor has mainly paired Nokia with the Windows Phone 7, but Elop’s note heaps praise on Google’s OS, saying, “Google has become a gravitational force, drawing much of the industry’s innovation to its core.” There’s also criticism that Windows Phone 7 itself has struggled against its competitors, and two jeopardized products may not be the best duo. When a piece of the memo leaked earlier today, mentioning that Nokia’s options are to “build, catalyst or join a competitive system,” it simply seemed to confirm recent rumblings about the company. But now it’s incredibly clear that the mobile manufacturer is in for some big changes. 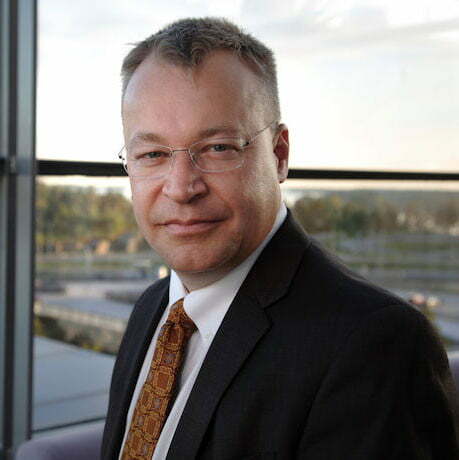 This Friday, the company will hold its annual Capital Markets Day, where Elop says he will unveil Nokia’s new strategy. What’s it going to be? Windows Phone 7? Android integration? Shift the headquarters to Silicon Valley? We’ll have to wait until Friday to find out. In the meantime, check out the scathing memo in full below.